Men and women religious serve as priests, brothers, sisters and hermits across the Diocese of Little Rock. According to the 2016 Official Catholic Directory, there are three diocesan hermits and 39 religious priests, 27 religious brothers and 164 religious sisters representing a wide variety of orders in Arkansas. Religious orders are listed in alphabetical order. Click on an order to find contact information for that organization and its members. Or scroll through the list below based on those that offer formation or have a communal residence in the state. This directory is maintained by Sr. Mary Clare Bezner, OSB, diocesan minister for religious. If you have any questions or need to make a correction, please e-mail or call her at (501) 664-0340. 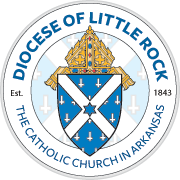 For information about other organizations in Arkansas, see Associations of the Faithful or Diocesan Boards and Organizations. 7000 John F. Kennedy Blvd. 1301 S. Albert Pike Ave. Unless noted, all sisters have the same e-mail address (firstname@stscho.org). Those with a * do not have an e-mail address.